Uncollated sets save time when assembling multiple projects. 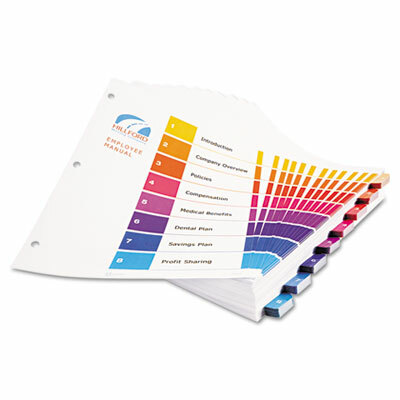 Print or photocopy titles framed with bright multicolors that match preprinted tabs. Now three ways stronger to last longer. Three-hole punch for use in standard binders. Uncollated sets save time when assembling multiple projects. Print or photocopy titles framed with bright multicolors that match preprinted tabs. Now three ways stronger to last longer. Three-hole punch for use in standard binders.